A deal .. maybe?? Combination Square Head on Mint STARRETT Scale $29? There are several of these on his site. I don’t need one but I thought I’d pass it along. No idea if it’s square .. it probably worth checking first. 3 Responses to A deal .. maybe?? 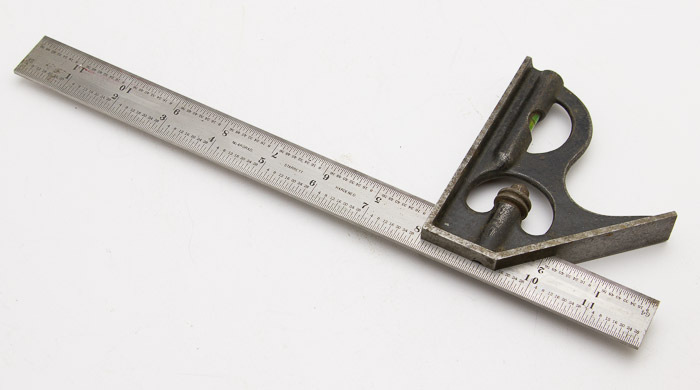 Combination Square Head on Mint STARRETT Scale $29? when I first started using a combination square it was one of those “woodworking level up” moments. It’s a “mint Starrett scale”. No mention of the maker nor condition of the head. Perhaps not such a deal.